Fun and quirkly 'Congratulations On Your New Baby' greetings card finished within a blue foil elephant illustration. 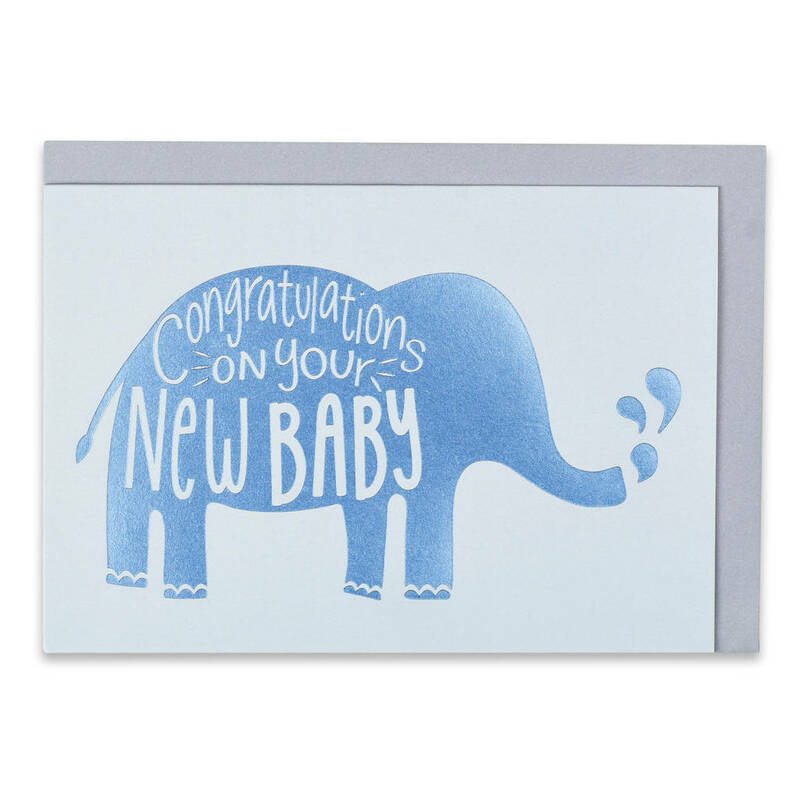 'Congratulations On Your New Baby' greetings card with a fun foiled illustration, is a great way to send your love to your friends or family to congratulate them on the arrival of their baby boy. The foil finish adds a contemporary element of glamour to the card. The card is blank inside for you to create your own personal message and comes with a luxury lilac coloured envelope and cellophane. All greetings cards produced from Raspberry Blossom are printed on FSC Certified stock and will be delivered in a hard-backed envelope to ensure safe delivery. Digitally printed on 300gsm FSC certified paper stock. 15cm (h) x 10.5cm (w). This product is dispatched to you by Raspberry Blossom.